Franklin Cudjoe is the founding President and Chief Executive Officer of IMANI Centre for Policy and Education, a think tank of global repute dedicated to the promotion of the institutions of a free society across Africa. IMANI, based in Ghana, has been consistently ranked among the top five most influential think tanks in sub-Saharan Africa and among the top 100 worldwide. In 2010, Franklin was named a Young Global Leader by the World Economic Forum in Davos, Switzerland. He was named a fellow of the Africa Leadership Network in 2012, and the only named Think Tank Leader in “Top 50 Africans” List of the respected Africa Report Magazine in 2012. Frans Cronje is the Chief Executive Officer of Institute Of Race Relations (IRR), a privately financed policy think tank established in 1929. He was educated at St John’s College in Houghton, Johannesburg, and holds a Ph.D. in Scenario Planning. He has been at the IRR for 15 years and established its Centre for Risk Analysis as a scenario focused research unit servicing the strategic intelligence needs of corporate and government clients. He has advised several hundred South African corporations, foreign investors, and policy shapers. He is the author of two books on South Africa’s future; scenarios from those books have been presented to an estimated 30,000 people. He writes a column for Rapport and teaches scenario-based strategy at the Business School of the University of the Free State. Ms. June Arunga is the founder and president of Open Quest Media LLC, a film and television production company in New York City. She is a Law graduate from the University of Buckingham in England. She has written and hosted several television documentaries for BBC and Channel 4, UK. Ms. Arunga has a passion for economics and explores the impact of economic policy on wealth creation in various industries in Africa through her documentaries. She is H. B. Earhart Graduate Fellow of Law, a Fellow at IMANI Center for Policy & Education, the International Policy Network- (IPN) – a London based public policy charity. Kofi Bentil is a Lawyer, a Business Strategy Lecturer and Consultant. He has lectured in Ashesi University and the University of Ghana Business School. He holds corporate training sessions yearly on Business Strategy, Services Marketing, and Management. He is a Senior Vice President and Policy Analyst with IMANI, a top ranking thinks tank in Africa based in Ghana. In 2005, he was honored by the World Bank with the Global Development Marketplace Award. In 2009 he was inducted into Africa Leadership Network, a part of Aspen Institute’s Global Leadership Network. He holds a B.A. in Geography and Resources Development, an MBA in Marketing and a second MBA in Think Tank Management, a Post Graduate LLB, and the QCL from the Ghana Law School. Kyle Walker is the Senior Director of International Programs at Students For Liberty. In addition to African Liberty, he serves on the Board of Advisors for EndTheDrugWar.org. Prior to joining SFL, Kyle worked as an instructor at the Charles Koch Institute, where he taught and consulted on nonprofit management for a variety of organizations dedicated to advancing human freedom. He is a former Koch Fellow at Reason Foundation and Fulbright Fellow at the Vienna Circle Institute at the University of Vienna. He received his bachelor’s degree in philosophy and psychology from Canisius College and his master’s degree in philosophy from Georgia State University. He currently lives in Washington, DC and enjoys his regular yoga practice. Olumayowa Okediran is the Managing Director of African Liberty and the Assistant Director of International Programs at Students For Liberty. He also serves as the West Africa Policy Fellow at the South African Institute of Race Relations. His views have been translated into 16 languages. He was listed on the 2016 YNaija PowerList as one of the most influential young Nigerians under 40. Olumayowa was educated at the Federal University of Agriculture, Abeokuta and completed a Masters degree in Humanitarian and Refugee Studies at the University of Ibadan. He is the Author of Navigate: A Prospection of Nigeria’s Future to 2030. Ibrahim B. Anoba is the Editor of AfricanLiberty.org. He is also in charge of the AL Writing Fellowship. Ibrahim is an expert in African Affairs with specialization in foreign aid and trade policy analysis. He has extensively written on the effects of central planning in contemporary Africa and the dynamics of development economics using current issues. His analyses have featured in reports by advocacy groups including Transparency International, Oxfam, and the Chr. Michelsen Institute. Anoba’s opinion pieces have been published in The Africa Report, Yahoo Finance, The Inquirer, Business Insider, The Daily Caller, and many leading policy media outlets. Some of his articles have been translated for readers in Chinese, Portuguese, Greek, French, Swahili, Spanish and Italian. Elizabeth Adeyemo is a Nigerian in her early twenties. She is an early childhood specialist and libertarian. She is passionate about working with children and everything that concerns them; basically child development and quality education. Elizabeth believes in education as a veritable means to liberate the mind of people, especially children. She is a founding member of Love Letters Child Support Initiative, a non-profit that sponsors less privileged children to have access to quality primary education. Elizabeth is also a Local Coordinator at African Students for Liberty. She is a graduate of Education and English Language from Obafemi Awolowo University, Ile-Ife, Nigeria.  Gabriel Ogunjobi is a Local Coordinator for African Students For Liberty. He is a journalist and writer. He is a contributor to numerous African publications including The Nation Newspaper, Premium Times Centre for Investigative Journalism, and the International Centre for Investigative Reporting. He is strongly passionate about reporting on corruption in governments across Africa and the defense of human rights. Sule Jacob Olaoluwa holds a Bachelor’s Degree in Public Administration from Lead City University, and he is currently enrolled as a final year law student at Osun State University, Nigeria. He served as a graduate assistant in the Department of Public Administration at the Federal Polytechnic Idah, Kogi State during his compulsory National Youth Service Year in 2012/2013. He is the Founder of iRead to Live Initiative. A non-profit that helps poor students in Nigeria and their teachers to achieve efficiency in the classroom. Maxwell Jimmy, a graduate of the Department of Agricultural Economics and Extension at the University of Uyo where he graduated top of his class in 2017. He is from Akwa Ibom State in Nigeria. He is a student leader and a human rights activist.